Milk allergy may be more common than you think: according to the group FARE (Food Allergy Research & Education), about 2.5% of children under 3 years old have an allergy to cow's milk. So what do you do when one of the most classic kid's foods are suddenly a big NO-NO? How do you replace all those valuable nutrients, like Calcium, Vitamin D, and protein? Fortunately, there are a ton of substitutes available in your supermarket that can help provide some of the nutrition from cow's milk. Each has it's pros and cons, and nothing will perfectly match 1 for 1 all the nutrients found in a glass of milk. But with the right combination of a milk substitute plus making sure there is enough variety of other types of food at meal time, your little one can get all the nutrition they need without cow's milk. It's true, cow's milk does have a lot of great nutrients that help little ones grow: Calcium, Vitamin A, Vitamin D, Vitamin B12, protein, Calories. But is it ESSENTIAL? Absolutely not. Plenty of kids straight up don't like milk, their families follow a vegan or plant-based lifestyle, or they are allergic to milk. These kids can still thrive and be just as healthy as those that do drink cow's milk. It's all about replacing those nutrients that are in milk from other parts of the diet. Take a look at this sample nutrition facts label for a glass of 2% milk. Here are he key nutrients in milk to pay attention to are. When choosing a substitute, try to match these nutrients as closely as possible. Let's look into some of the different kinds of milk substitutes that you're likely to find at your market. This is by no means an all-inclusive list. If I've left out your favorite, please let me know in the comments! These substitutes will not be suitable for every child. Some children may be allergic to some of the ingredients, or may need a special type of dairy-free formula for medical reasons. If your child is younger than 1 year old, your pediatrician will likely recommend breastfeeding or a dairy-free formula instead of one of the below substitutes. You should always consult your pediatrician/allergist with any medical questions or concerns, and I recommend visiting a Registered Dietitian to discuss nutrition concerns relating to food allergies. You can Contact Me to setup a free 15-minute call to discuss nutrition concerns for your child. Another note: if your child has an allergy to cow's milk, you should ALWAYS check the label of your milk substitute before you buy it. Sometimes there are hidden sources of cow's milk, even in milk substitutes. Often this is the first choice parents turn to when their child has a milk allergy or sensitivity. There are many different brands of soy milk available, and it's usually very easy to find. Soy milk (like this from Silk) is naturally a good source of protein and Calcium, however Vitamin D and fat content varies by brand. Also, some children who are allergic to milk may also be allergic to soy, if you are concerned, discuss with your pediatrician and/or allergist. Another popular choice is almond milk (like this from Silk), cashew milk, or even hazelnut milk. There are tons of different options. Nut milks are usually a good source of Calcium, but may be lacking in protein, fat, and overall Calories. Nut milks may also be more expensive. Rice milk is a popular choice by kids because of it's mild taste. It is a good source of Calories, and is usually fortified with Vitamin D and Calcium. Rice milk (like this from Pacific Foods) is often not a good source of protein or fat, and it may not work well for cooking because it has a thin texture. 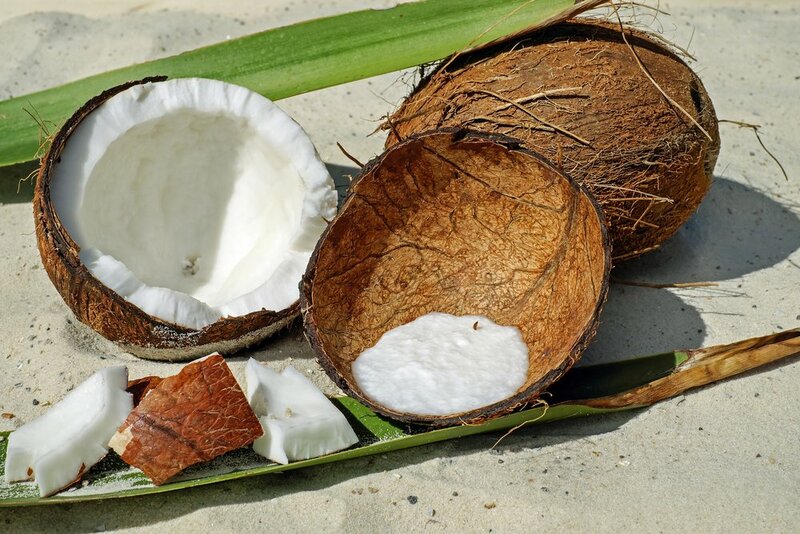 A relatively new choice, coconut milk (like this from Silk) contains more fat than many other alternates, which is important for young children as it supports healthy brain development. But, coconut milk may lack Calories, protein, and Calcium. One of the newest trends in alternate milks is oat milk. It is naturally a good source of protein, Vitamin D and Calcium. But, oat milk is usually low in fat, and there may be some cross contact with soy and gluten. One good option is Oatly. One unique quality in hemp milk is that it contains Omega-3 fatty acids, which are important for brain health. But, some brands lack protein and Calcium. Check out this option from Pacific Foods. Flax is another option that, like hemp, contains Omega-3 fatty acids. Similarly, flax milk is usually not a good source of protein. Check out this option from Good Karma. One of the newest options on the market is pea milk (check out Ripple). Made from dried peas, it is a good source of protein and calories, and usually is fortified with Calcium and Vitamin D.
With so many options available, you won't have to look far to find a healthy, tasty drink for your child with a milk allergy. Like all new foods, you may have to give your child MANY MANY opportunities to try their new drink before they actually start to enjoy it. Just be patient and encouraging, and don't force it. I recommend trying an unsweetened version of your milk substitute first. There are lots of flavors available, vanilla, chocolate, etc, and many of the 'original' versions often contain a decent amount of added sugar. Give your little one a chance to adapt to the unsweetened version first. But if they really don't care for it, a lightly sweetened version will be just fine. So, what's your favorite of these milk substitutes? Let me know in the comments! Dec 4 Does My Child Have a Food Allergy?